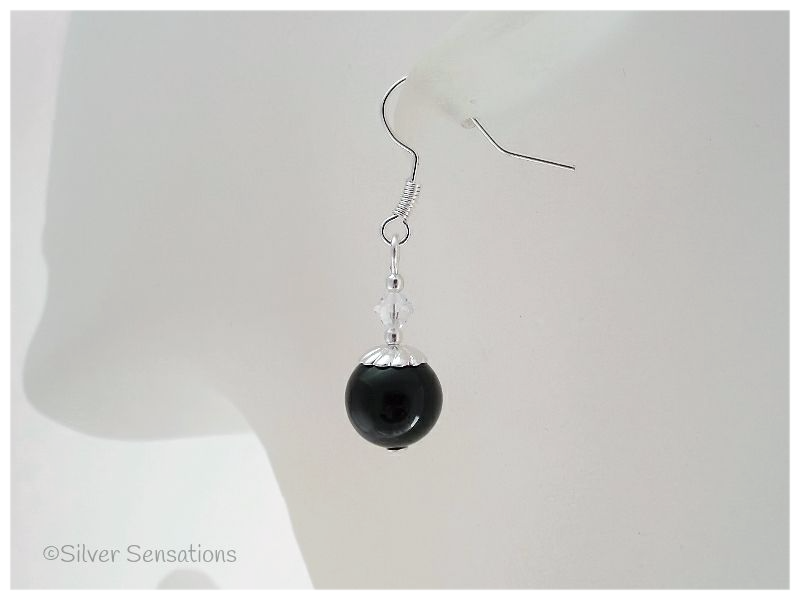 These black & silver handmade beaded earrings have 10mm genuine Black Onyx round beads as the focal point. Sitting on top is a Silver Plated bead cap in a swirly design. 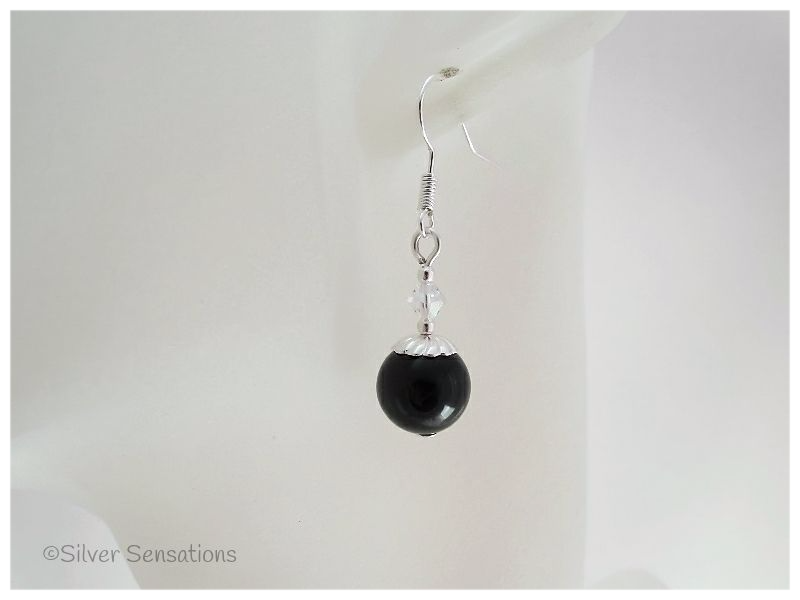 Completing the look are also twinkling Crystals from the Swarovski Elements range and small Silver Plated round beads. 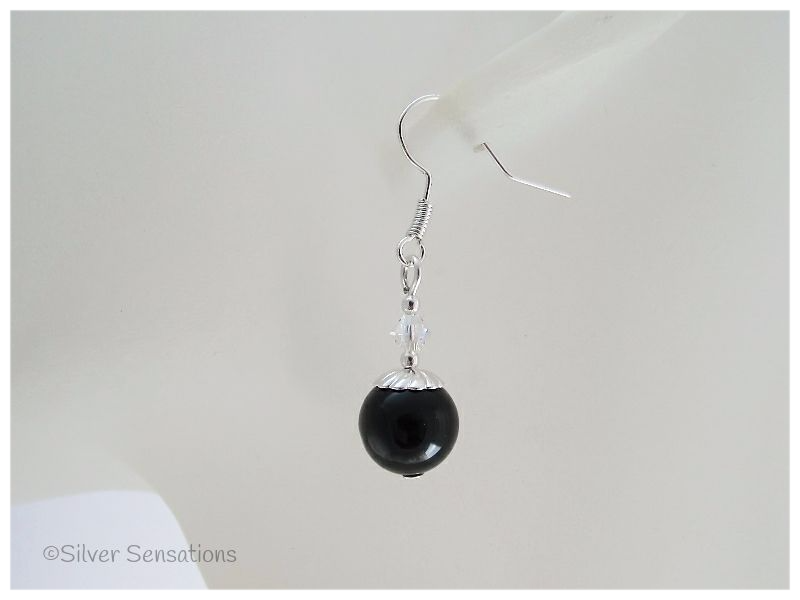 These fashion earrings hang from strong Silver Plated headpins & ear wires & have a drop of 30mm, so are ideal to wear at any time. Please note that all Plated materials are bought from reputable suppliers as being Cadmium free, Lead free & Nickel free so conform to EU Directives.